Please join the Boston design community in celebrating the legacies and ongoing contributions of our AIGA Boston 2018 Fellows — Jan Moscowitz, founder of Studio LaPlancha, the collaborative for artists, design entrepreneurs, and makers, and Chaz Maviyane-Davies, designer, filmmaker, educator and activist. 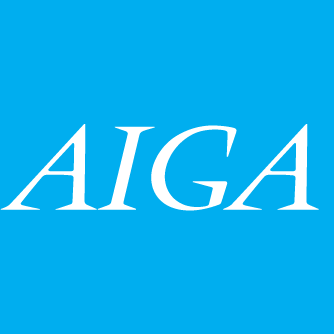 The AIGA Fellow Award program is a means of recognizing designers who have made a significant contribution to raising the standards of excellence in practice and conduct within their local or regional design community as well as in their local AIGA chapter. The areas of education, writing, and leadership, as well as the practice of design are given equal consideration in measuring significant contribution. The celebration and awards ceremony is being planned for the fall. Stay tuned for more information over the next few months. 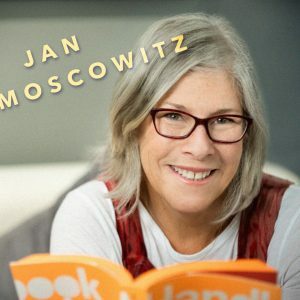 Jan Moscowitz has been a passionate, innovative leader in multidisciplinary design practices and education for more than 30 years. Her unstoppable drive and contagious energy has garnered international success and captured the attention of Boston’s design community since her move here in the mid-90s. Jan has a knack for storytelling and collaboration, always connecting ideas and people. An endless opportunist, she sees possibility in everything she does. Throughout her career, and regardless of circumstances, Jan has created work that is fresh, witty, and compelling — both conceptually and aesthetically — and continues to do so today. We are lucky to have her influence our AIGA community. Born and raised just outside of New York City, Jan’s earliest days were spent making — from self published ‘zines and a clay circus to Super 8 movies with corresponding promotional posters. Anything that involved handwork, color, and materiality captured her imagination. Following her graduation from the University of Vermont, where she earned a degree in marketing, Jan’s early career began in the corporate sector — first at Fidelity Investments, and later at the Boston Company where she established an in-house design department. Her interest in multidisciplinary design blossomed in the late 1980s when she moved to London to attend the School of Communication Arts under the tutelage of John Gillard, known to many as “the pied piper of creative talent”. It was in the UK that Jan found her voice and was hired by the notable firm Trickett & Webb Ltd., and also where she met her longtime creative partner and husband, Tim Moore. In the mid-1990s, Jan and Tim returned to Boston and founded their award-winning studio, Moore Moscowitz Design. 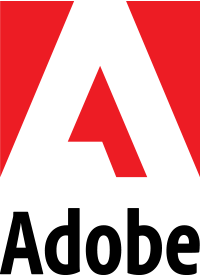 Together they produced print and new media projects for a diverse array of clients including the Berklee College of Music, MIT, Polaroid, Dance Umbrella, IBM, and Montserrat College of Art. In 1999 the duo was awarded a travel grant from Consolidated Papers, Inc. With that they embarked on a life changing adventure traveling through Southeast Asia and produced a visual book of their journey, Exploring the Liminal. Moore Moscowitz has received numerous accolades for design excellence from both national and international design associations, including AIGA, BRNO Design Biennial, and D&AD, among others. A former AIGA Boston chapter president from 1997–1999, teacher, and mentor, Jan’s passion and commitment to design — and the impact it has on communities — prevailed even following Tim’s sudden death in 2005. She went on to launch Studio LaPlancha, a collaborative of artists, design entrepreneurs, and makers. She currently develops products, identities, and packaging for a broad range of clients that includes Ebb&Flow, Polkadog Bakery, Allied IM and RockitGrrrl Granola, to name a few. She delights in bringing visual intellect to unexpected places. She lives with her husband, Ed, their two furry 4-legged kids, and many spirit guides, in Needham, MA. Chaz Maviyane-Davies is one of the most widely respected, prolific and empathetic designers in the international poster arena. His work is powerful, meaningful — and deceptively simple as he is emboldened to mix images and messages in striking ways. The images that he continues to create raise awareness around very important societal topics. One look at his very impressive list of achievements and the many works he has produced throughout an illustrious career, and one can tell that there is a rhythm here. A recurring of interests that are real-world concerns. Social causes that Chaz feels compelled to shine light upon. Chaz has long understood the power of graphic design: in the right hands — and minds — to be able to make images and messages that speak to basic human rights and needs. 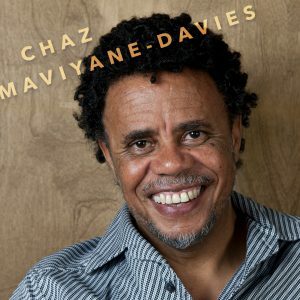 Designer, filmmaker, educator and activist, Chaz Maviyane-Davies has been described by the UK’s Design magazine as “the guerrilla of graphic design”. Debbie Millman of Design Matters called him “one of the most powerful voices in the world of graphic design”. For over four decades this controversial, award-winning artist has marshaled the power of design to enable effective communication for social change, taking on issues of consumerism, health, nutrition, social responsibility, the environment, and human rights. He achieved an MA in Graphic Design with distinction from the Central School of Art and Design in London, and an Advanced Diploma in Postgraduate Film-making from the Central St. Martins School of Art and Design London. He spent a year in Japan studying three-dimensional design and ten months in Malaysia working on various world-reaching design projects for the International Organization of Consumers Unions and JUST World Trust. His design work experience in London includes time with Fulcrum (Design Consultants), Newell and Sorrell Design Ltd., as well as a stint in the Department of Graphic Design of BBC Television. From 1983 until 2000, he ran a highly acclaimed design studio in Harare, Zimbabwe; The Maviyane-Project. The social and humane nature of his work was often confrontational and challenging to the authorities, so it was not surprising that, in 2001, with the adverse political climate at the time, he felt compelled to leave his homeland for a post at the Massachusetts College of Art and Design in Boston. He taught there until 2016, and is now Professor Emeritus of Design. His work has appeared in scores of international magazines and newspapers and he has been acknowledged in many publications, including Who’s Who in Graphic Design, Rewriting the Rules of Graphic Design, History of Graphic Design, Anatomy of Design, Graphic Agitation 1 & 2, Graphic Design Timeline—A Century of Design Milestones, World Graphic Design, Graphic: Inside the Sketchbooks of the World’s Greatest Graphic Designers, Design of Dissent, and Area: Showcasing 100 of the World’s Most Innovative Emerging Graphic Designers. He was also included in the inaugural list I.D. Forty, I.D. magazine’s annual honors list profiling leading-edge designers from around the world — New York 1998. In 2009, the University of Massachusetts Lowell conferred on him an Honorary Doctor of Humane Letters degree. He is also the recipient of the inaugural Anthon Beeke International design award in Amsterdam and recognized by the Museum of Fine Arts, Boston with an award for outstanding innovator in his commitment to the struggle to transform society and create a just future. Simmons College, Boston recognized the essence of his work with an award for courage and integrity in using art to stimulate activism for social change. He also delivered the prestigious Dwiggins lecture in November 2003, sponsored by the Society of Printers and the Boston Public Library. His work is included in permanent collections in various galleries around the world and has been seen at over 200 extensive individual and group exhibitions. He has been represented in most of the largest international graphic, invitational and poster exhibitions from 1980 to the present time and he has been a judge on many international exhibitions and competitions. In 1991 he wrote, directed and produced a short film. After the Wax — a personal view of nationality and identity. This work has been screened at several film festivals and television channels around the world where it has won accolades and several awards. His book, A World of Questions: 120 Posters on the Human Condition was a winner at the Boston Book Show 2017, and has gained attention internationally from luminaries in the design world and beyond. In 2017 he published 30: A Folio of Posters Based on the United Nations Declaration of Human Rights — a folio of award-winning posters, conceptualized from an African perspective. He is presently writing a book about his work entitled Creative Defiance.